Upchurch is well known in the community as an advocate and leader, having ran in 2017 for the Columbus City School Board on the Yes, We Can Columbus ticket. Earning her Bachelors in Social Work from Eastern Michigan University, and her Masters in Social Administration from Case Western Reserve University, she has experience working with youth and families in areas of mental health and trauma recovery. Additionally, she is the co-founder of Columbus Urban Pride and New Leaf Columbus. She also has served on numerous agency boards including TransOhio and the Ohio AIDS Coalition. Currently, she is on the board for the Central Ohio Fair Housing Association. As a social worker and advocate, Upchurch has dedicated her life to supporting under-served and marginalized communities. Her work has garnered her numerous awards as well as featured speaking engagements with ACLU Columbus, Equality Ohio, and TEDx Columbus. She is a native of Cincinnati, Ohio who has found her home in Columbus. Karen earned her Bachelor of Science in Mathematics (minor in Education) at St. Francis University (PA) and then coached Women’s basketball there, Ohio University, and University of Kentucky. She came back to Columbus to acquire her Master of Arts in Educational Policy and Leadership at The Ohio State University. It was at this time she found her passion for people, education, and leadership working in Human Resources. Karen has worked with various companies in HR and Management capacities, most recently working for the Crane Renovation Group at Mr. Roof Cincinnati. 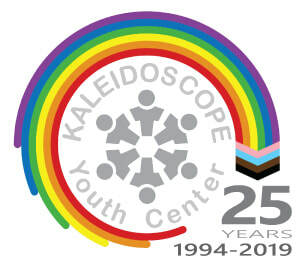 She has finally found the culmination of all her passions in her position with Kaleidoscope Youth Center. Karen is passionate about the heart work of advocacy, transformative justice, empathetic leadership, education, and connection. She is very active in the Columbus local artist scene as a performer, curator, and creative. Karen is a certified varsity referee and still participates intentionally in girls’ basketball in the state of Ohio. This position is a perfect union of life work and passion for people. After coming out in rural Ohio as a middle school student, Liam began advocating for the LGBTQ+ community and has continued this work for over 10 years. Since graduating from the Ohio State University, he has primarily worked in LGBTQ+ non-profit organizations and as a member of the ACLU of Ohio TransAction Committee. Liam is proud to be a gender and sexuality unicorn, as he has identified as every letter of the 'LGBTQ' acronym at one point or another in his life! He has given more than 300 presentations and workshops, including at the National LGBTQ Creating Change Conference and the Transforming Care Conference for LGBTQ Health Equity. He is a fierce advocate for sexual health education and is passionate about trans-inclusive, body positive education for all. When he's not working with the most amazing youth, he enjoys playing music, going to concerts, camping, and spending time with his cats and chameleon. An Ohio native and graduate of Bowling Green State University, Jen joins Kaleidoscope Youth Center as the Development & Marketing Manager. She spent several years working in the nonprofit sector and doing freelance marketing/design projects in Phoenix, AZ. Passionate about social issues, politics, and pop culture references, she’s excited to join the KYC Family and help empower LGBTQ youth in Ohio and beyond! Originally from Michigan, Amanda received her Bachelor of Science in Education from Bowling Green State University before spending two years in the Peace Corps as a teacher trainer in the South Pacific. Since moving to Columbus, she has spent most of her time in the nonprofit sector, including most recently at Planned Parenthood. She's passionate about youth empowerment, feminism, travel, languages, and enjoys tending to her 61 houseplants! 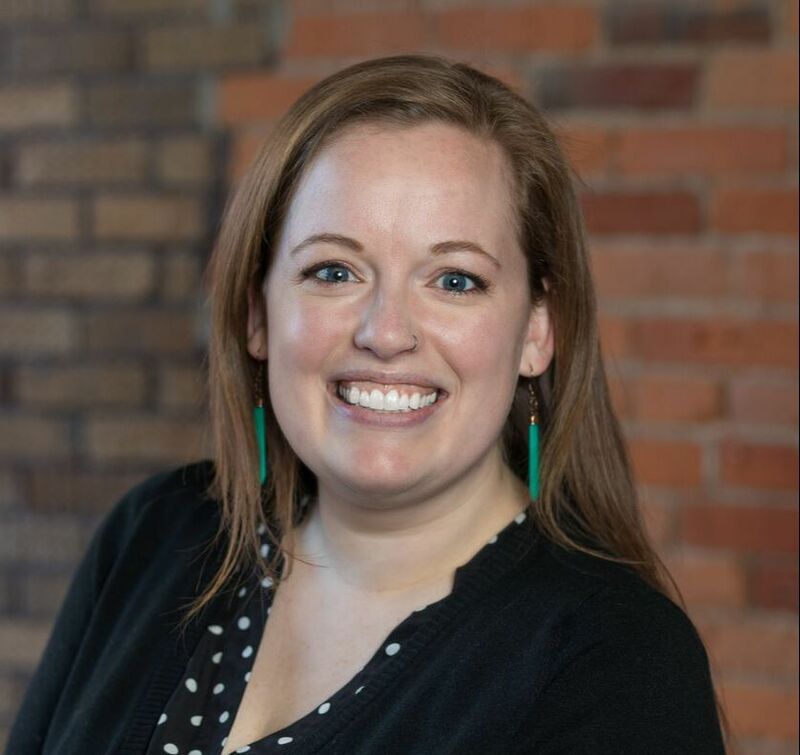 Heather is a native of Columbus, Ohio and has a Bachelors of Social Work from Capital University and a Masters of Social Work from the University of Michigan where she concentrated in Community Organization and Management of Human Services. With ten years of experience working in the nonprofit sector providing individual and community services, she is skilled in community outreach, organizing, program development, youth leadership development, communications, and evaluation. She is most passionate about using critical intersectionality and anti-oppressive practices to pursue social justice through collaborative innovation with diverse populations. Heather believes in treating others with radical compassion and acting in solidarity with each other to abolish the kyriarchy. James Westfall comes to Kaleidoscope Youth Center after a dozen plus years in the service industry. He earned his Bachelor of Arts degree in Humanities and Women's & Gender Studies at Ohio Wesleyan University and has lived in Columbus ever since. He is proud to become a non-profit unicorn and excited about all of the learning experiences that role entails. After obtaining her BA in Psychology, Alicen has joined the Kaleidoscope Youth Center through the medical provider Southeast Inc. as a Drug and Alcohol Prevention Specialist. Alicen has experience with Equitas Health and The Office of LGBTQA+ Affairs at Wright State University where she interned during her time at Wright State University. Alicen is a strong supporter of allyship within the LGBTQA+ community, LGBTQA+ rights, animal rights, environmental protection, and Equalitarianism. Alicen is excited to take on the problems facing today's LGBTQA+ youth and bridge the gap between the LGBTQA+ population and local resources.